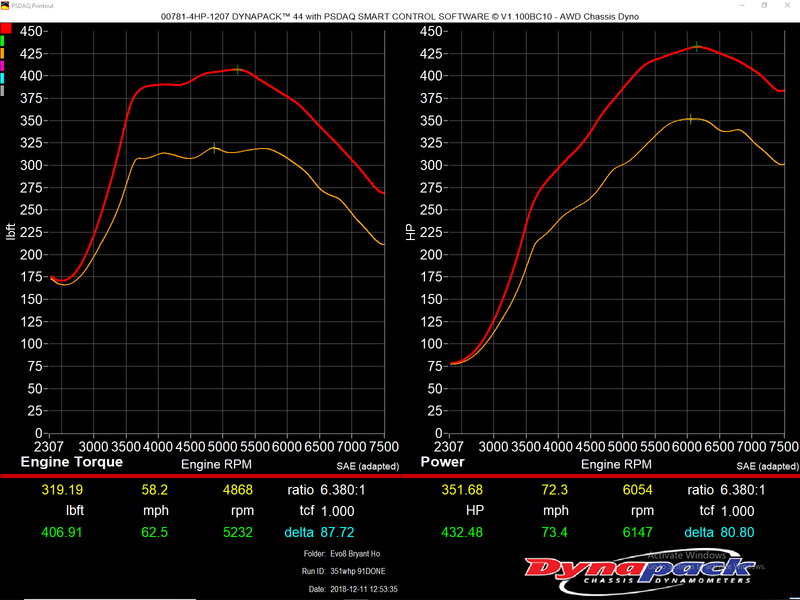 E85 evo 9 turbo w/ bolt-ons 432hp 406tq! Holy **** that's basically as much power as my HTA71. **edit: Dynapak. Makes sense, sounds about right. Nice job! 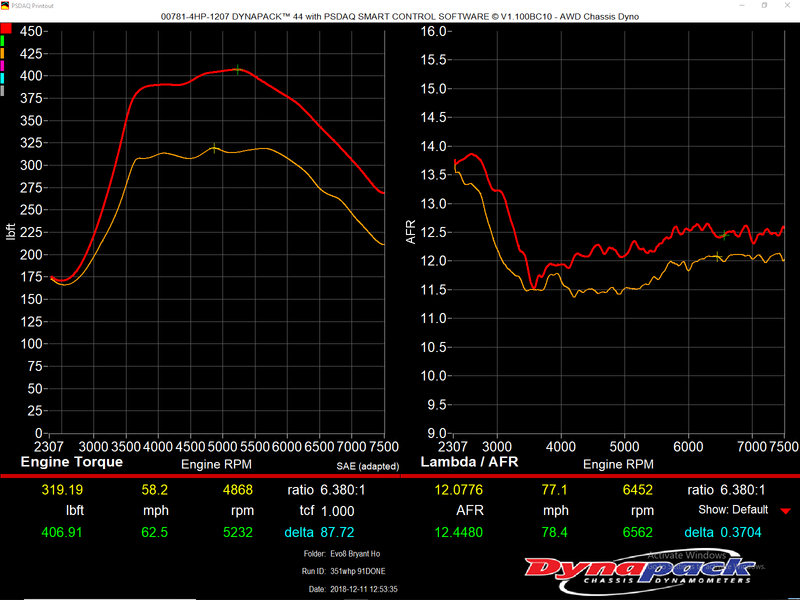 Great numbers on that stock turbo man! Fist pump! Go Sam go! It's about normal. 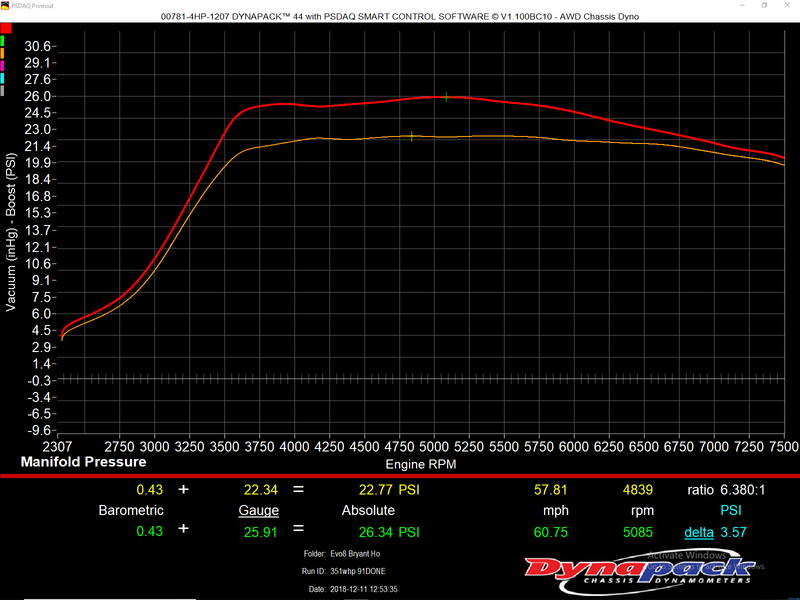 That dyno reads high. Usually by 10%, but these numbers don't seem off quite that much. Maybe 5%? 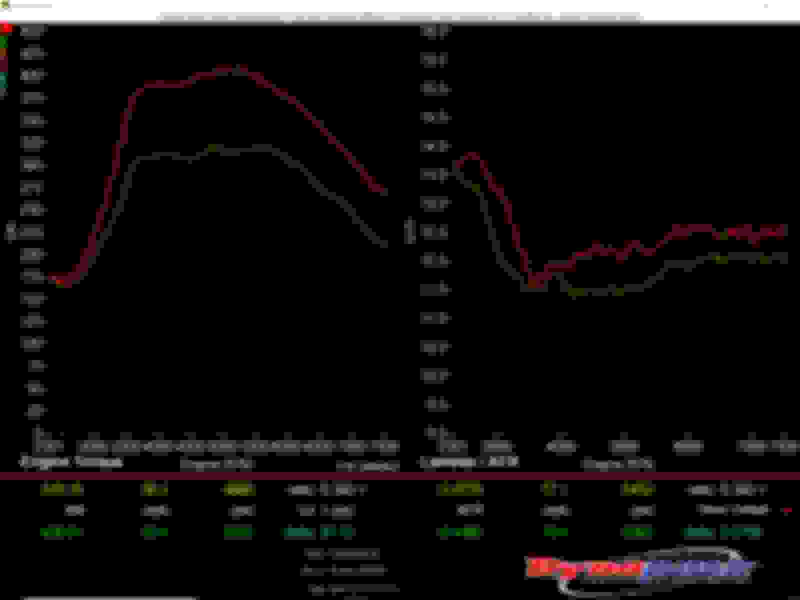 Yes our Dynapack reads higher than the average Mustang dyno. But it is consistent with Dynojet AWD numbers, usually a touch lower. Maybe again we need a reminder and some perspective on the RRE Dynapack numbers: It's been a while. Our Dynapack specifically was featured in an exhaustive dyno comparison test done by D-Sport magazine. Thanks for chiming in Mike. We appreciate your advice.